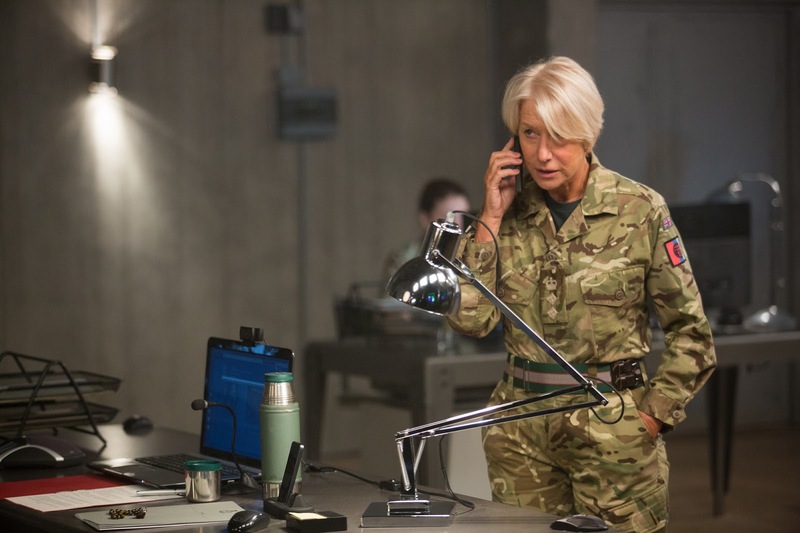 Academy Award-winner Helen Mirren stars in the white-knuckle thriller “Eye in the Sky” that tackles the moral ambiguities of modern-day warfare. Co-starring with Mirren are three-time Emmy Award winner Aaron Paul (from “Breaking Bad”) and the late Alan Rickman (best known for his role in the Harry Potter films as Professor Severus Snape). A contemporary international thriller set in the shadowy world of remotely piloted drone warfare, “Eye in the Sky” tracks London-based military intelligence officer Colonel Katherine Powell (Mirren) who is remotely commanding a top secret drone operation to capture a group of dangerous terrorists from their safe-house in Nairobi, Kenya. The mission suddenly escalates from a “capture” to a “kill” operation as Powell realizes that the terrorists are about to embark on a deadly suicide mission. From his base in Nevada, American drone pilot Steve Watts (Paul) is poised to destroy the safe-house when a nine year old girl enters the kill zone just outside the walls of the house. With unforeseen collateral damage now entering the equation, the impossible decision of when to strike gets passed up the “kill chain” of politicians and lawyers as the seconds tick down. The collateral damage caused by a drone strike extends beyond potential human casualties. The killing of civilians, even accidentally, has a profound impact on the propaganda war. For the filmmakers, it was vital that the narrative posed these difficult questions while asking the audience to decide on the answers. “What you don’t want to do as a director is preach to your audience,” says Hood. “You want to create a sense of pace, a sense of tension, a thriller, while at the same time, raising difficult, philosophical questions in the mind of the audience. “In order to do that you have to keep the story moving forward so as to keep the tension alive, while at the same time finding moments where the story breathes, which allows the audience to catch up. You need to give the audience time to process the arguments. 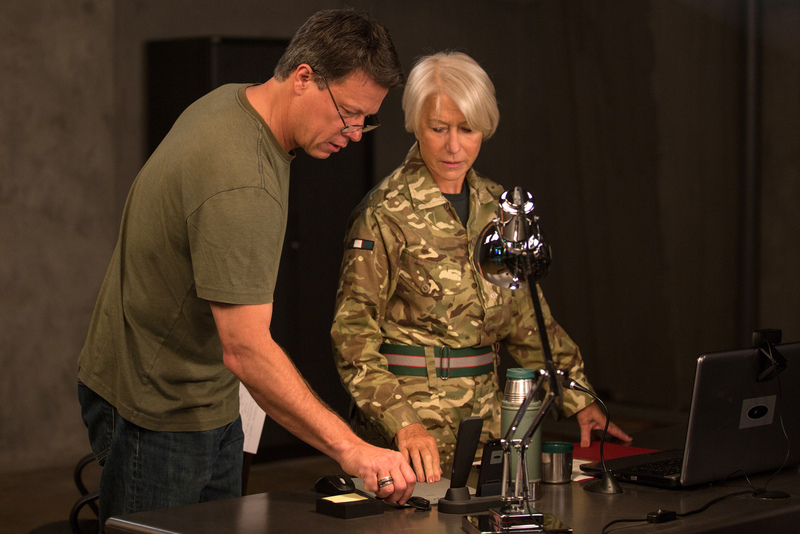 “Eye in the Sky” opens July 20 in cinemas nationwide from Pioneer Films.